You are at:Home»Getting started»3 Reasons to have a Plastic-Free Tuesday every week! Before I start off with this post, I have to note first that there may be many many different specific reasons, from person to person, to start thinking about and to give up on plastics. For example, for my friend, and Plastic-Free Tuesday Founder, Annemieke it was the umpteenth message about the problem of the Great (plastic) Garbage Patches in the oceans, aka the “Plastic Soup”, which set it off. For me, it was the concern over the massive amounts of waste I am generating personally in my life time, and would be leaving as a legacy for later generations. 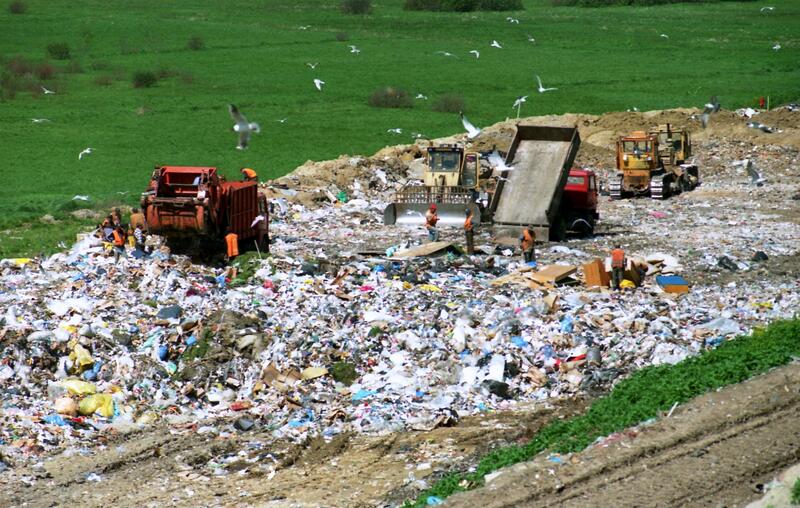 reducing the size of plastic waste piles on landfills etc. In short, there may be many different reasons, big and small, to start with Plastic-Free Tuesdays and doing something about plastic waste structurally. If you are still hesitant to start having Plastic-Free Tuesdays, I am proposing three reasons why to consider to START today. Plastic pollution in a major waste and environmental problem in our contemporary society. Imagine that we only really started to use plastics ‘big-time’ as of the 1930s. That’s just 85 years ago! In that time, we managed to create huge problems in terms of litter, for our water ways, waste disposal, animals and the environment generally. One of the big problems which is less obvious to the eye are micro-plastics. Plastic that have decayed into rather small particles over a couple of decennia (i.e. the plastic consumed in 1950s and 1960s? ), or plastic particles that detach from syntethic clothing in the washing machine, but which cannot be easily filtered out of the environment anymore and release their plastic toxins into the environment apart from being consumed by marine life (which we also consume..). 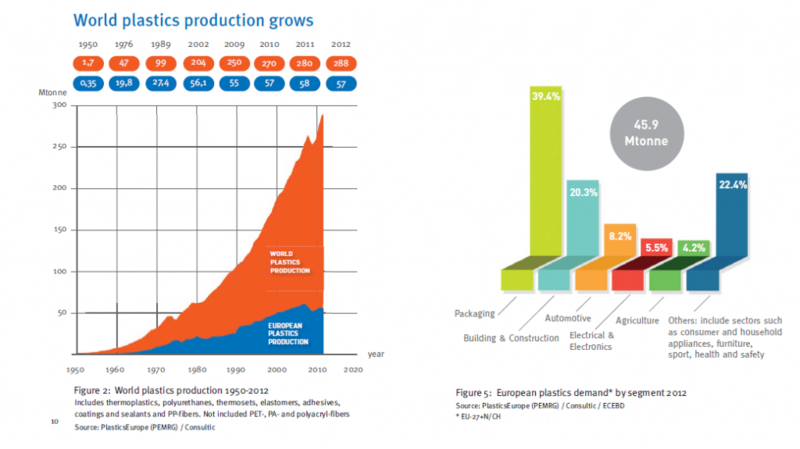 The following graphs from PlasticsEurope – a plastics branch organization – clearly illustrates the MASSIVE (growth of the) amounts of plastics produced around the world, per year! These are 2013 figures: Of course, as you see, the figures do not include disposable plastics only, but also plastic for medical use, sports equipment, production uses etc. Yet, almost 40% of all the plastic is used (in Europe) for various (disposable) packaging, while a non-specified percentage should be added for all the plastic consumer and household appliances we use. So let’s observe that close to half of all plastics manufactured per year, are plastics we use daily. What happens to all this plastic? Well, PlasticsEurope have some other interesting graphs and info available on that too in the same report. These indicate that almost 40% of the (European?) plastic waste still ends up in a landfill, with in many countries to a large extent, especially absent legislation such as a landfill ban. Reason Two: Be the change you want to see in the world. Take your own responsibility. Reason Three: It’s so very rewarding. Ah I like how you found out about the windmill! In Groningen or? What did you get from there? When I was in Holland, my mom took me to a (very local) windmill as well, of which I never knew before. They sell the most beautiful stuff for the most beautiful baking sessions ha. So yea, you are SO right! Participating in PFT is an adventure and guarantee for different experience of daily life 😉 Awesome blog! It’s crazy that plastic usage has only been around for a mere 85 years and yet has caused such detrimental damage. Completely agree on the notion of being part of the solution rather than the problem. Love the idea of starting out with one plastic-free day a week and then progressing to more days. Would you mind if we posted about your initiative and also some of your recommendations on our blog? Thanks for the support! I actually read online yesterday (but did not check it yet) that we use plastic bags on a large scale for even a much shorter amount of time, like since the 1970s-1980s? In any case, you’re right. The amounts of plastic and damage done already is very worrying! Of course, we’d be very happy if you’d featured Plastic-Free Tuesday and any content on your blog! Thanks for sharing.